Bud with a fluke for the tournament! 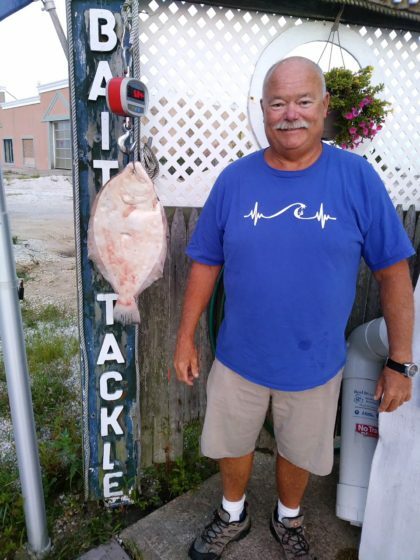 Bud caught this fluke late yesterday in the inlet – 5.04lbs and 23.5″. It’s the first to be weighed in for the second session of our In-Store Fluke Tournament. 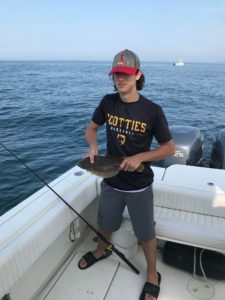 There were plenty of shorts caught out in the inlet and the reef as well. 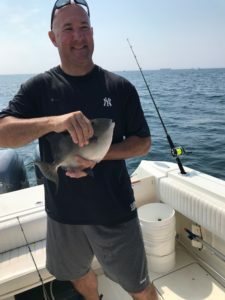 And this trigger fish caught by garden state south. 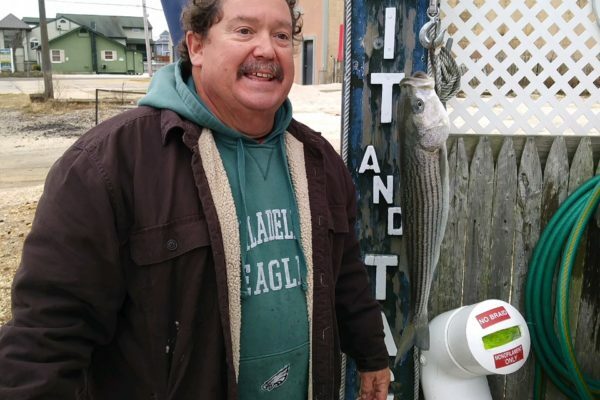 Off the docks, anglers are having plenty of fun catching snap blues. And some good size crabs caught too. Out in the surf fluke being caught too using bucktails, no shorts shads and squid or gulp. Dave K was catching kingfish using bloodworms and wanted to send me pics white submitting a fishing report but the pictures were too big. When adding pictures to your submitted fishing report, save your pictures with a lower resolution and you should have no problems. Beautiful warm sunny morning, a little humid with temps going into the low 80’s. Winds are SW about 11mph and water is still in the mid to high 70’s.